If you’ve been looking for monitor arms to improve the functionality of your business or home office in Atlanta, GA, turn to the professionals at NorthPoint Office Furniture, proudly serving customers in the Atlanta Metro area since 1994. We offer an amazing selection of new and used desks, chairs, filing cabinets, cubicles, and workstations, as well as monitor arms by Humanscale, the leading designer and manufacturer of ergonomic products for the workplace. 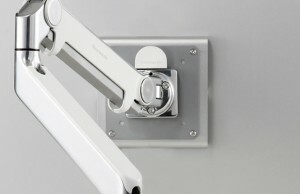 In addition to being beneficial to your health, Humanscale monitor arms are sleek and stylish, and can be customized with an array of different options and accessories. At NorthPoint Office Furniture’s conveniently located showroom, you’ll be able to take a look at our selection of monitor arms, as well as any other furniture you may need for your Atlanta, GA, office space. We’ll even help you with space planning and can suggest basic layout ideas for your office. To learn more, contact NorthPoint Office Furniture today or visit our local showroom.